Mavenlink | Business Cloud Inc.
Mavenlink is a cloud-based project management tool that helps project managers keep track of their deliverables, time, and cost. Mavenlink combines team collaboration, project management, resource planning, projects financial tools, and business intelligence in one dashboard. 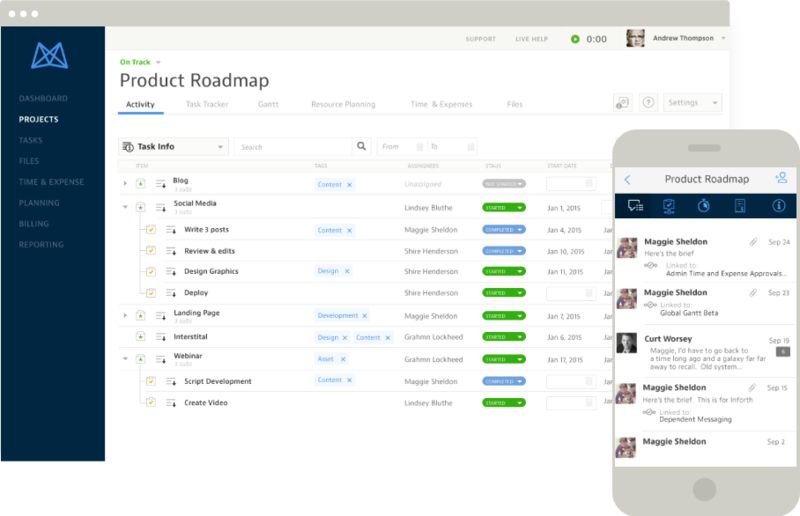 A cloud-based project management software allows you to work from anywhere, with anyone, and collaborate in real time. Some of the features Mavenlink offers such as Activity Feed lets your team and clients share information and enhance communications on the project. Furthermore, Mavenlink provides a holistic view of project progress, resource utilization, and project budgeting. Another great feature of Mavenlink is the ability to integrate with Google Drive and provide a seamless experience for Google Apps users.